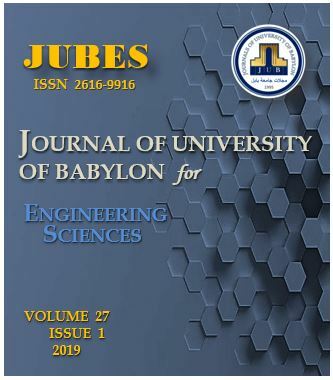 Polymer and petrochemical industries, college of Engineering materials, Babylon University, Iraq. Antibacterial material nanocomposites are prepared to manufacture intravenous therapy (IV). These composites prepared by adding Magnesium oxide nano powder (MgO NPs) with a different percent (3, 6, and 9 wt %) to Silicone rubber (SR). The activity of this antibacterial material was inspected against S. aureus and E.coli microorganisms by using Agar Well Diffusion method. Results showed that the addition of MgO NPs to SiR causes the following enhancement the antibacterial activity against E.coli and S.aureus by 7.1% and 27.1% respectively, increasing tensile strength by 65.5%, increasing the hardness by11.25%, increasing the wear resistance by 84.5%, increasing surface bearing index (Sbi) by 80.5% , increasing in core fluid retention (Sci) by 8.5%, decreasing surface roughness (Sa) by 65%, decreasing core roughness depth (Sk) by 67% and enhancement the wettability by decreases contact angle to minimum value. A. Braihi, J. Ahmed, and R. Jabbar, “Prevent Intravenous Therapy (IV) Contamination by Addition of Magnesium Oxide Nanoparticles to Silicone Rubber”, JUBES, vol. 27, no. 1, pp. 409 - 417, Feb. 2019.